I hope it’s okay that I share these five Insta-photos with my reader-friends…I know they’ll want to meet you to! *Sigh* Isn’t it dreamy?! In reading through some of Lauren’s old Instagram captions I learned that they lost their first home in the horrific EF4 tornado outbreak that occurred in April of 2011. Their sweet, little tudor home was completely destroyed, but praise the Lord, Lauren and her husband stayed safe in their basement and miraculously escaped the terrifying event unharmed. 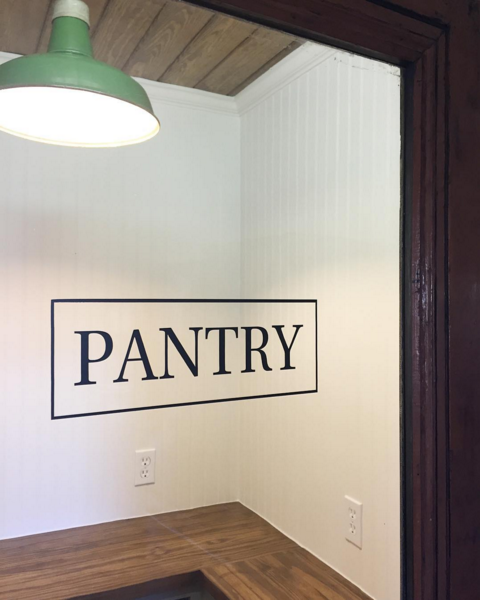 They built and moved into a brand new home for a couple of years after the tornado, but their hearts were drawn to finding something old that they could fix up. 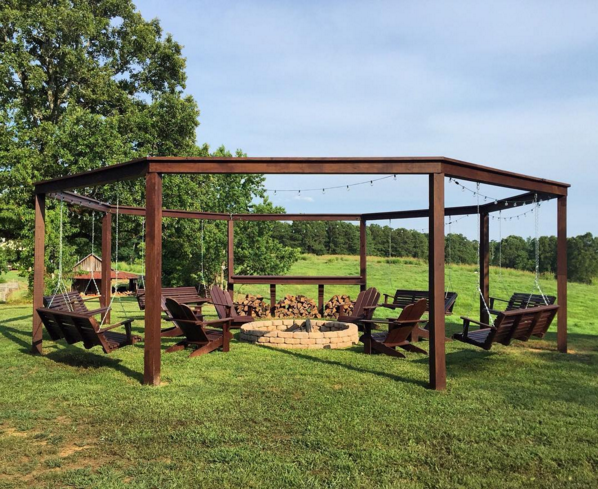 When they found Stillwater Farm, they knew they had found home! This is just a peek through the glass window in the door. There are lots of fun in-progress pics of this space on Lauren’s Insta-feed too! 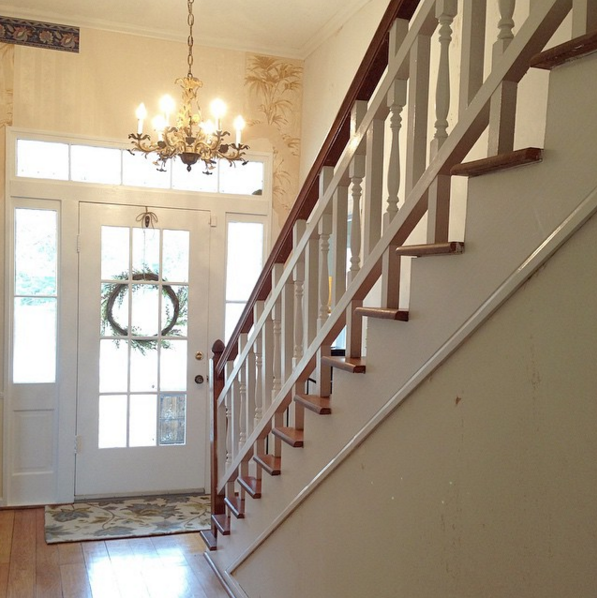 Um…can we just have a moment of silence for that banister? Lauren mentioned she’s in the process of ripping down layer after layer of wallpaper on the walls in the foyer right now, but I think they’re kind of sweet as is…like an old patchwork quilt! You were right. It’s love at first sight! So sweet! Thank you! And true story.. I cried when we pulled up to the farmhouse for the first time. I just knew. We listed our home the same day! Thank you! I can’t wait to spruce up that whole entry way! Beautiful! Can’t wait for you to share more of her home. I make fax Tobacco Baskets …. saw a “How To” from a fellow blogger …. now, I several ready for a Arts & Craft show in my area. Thanks, Debi! I love a nice quilt, too.. I can’t sew to save my soul! Maybe I’ll learn one day! Honestly Layla, who WOULDN’T want to be your friend! Oh my goodness! I love this! What a dreamy house! Thanks for sharing! You make me laugh, Layla. Stalker indeed! 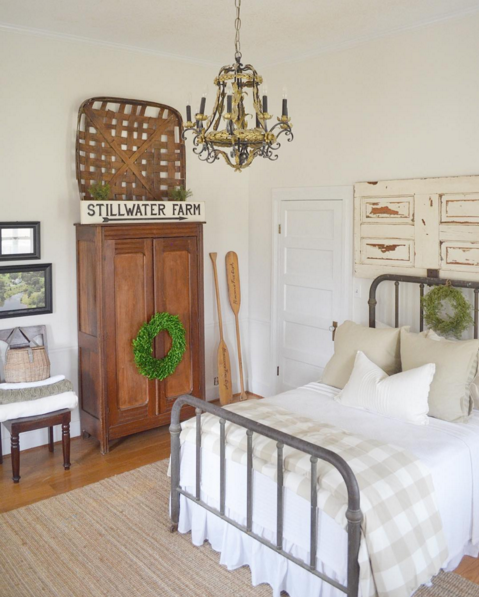 Thanks for sharing these sweet photos of this well loved home! WOW!!! I live in Georgia, but I’d be happy….delighted…..to come over and go with you!! LOL. She should steal the Fixer Upper idea and run with it! Layla Palmer.. STALK AWAY. Because I stalk you on the daily. Like, all day err’ day. #truestory. Honestly, this post surprised me in the best way. Your kind words just totally overwhelmed me and put the biggest smile on my face. (And a few tears in my eyes, if I’m being honest. My husband thought someone died.) I can’t tell you how much I appreciate it! Yes .. Yes..yes! I love you both and read everything you both write or pictures you post! I am right down the road from Lauren on Lay Lake! I am always hoping to run into Layla, Lauren or Rhoda! How awesome would that be! Y’all inspire ! We are Redoing a ranch house on Lay Lake. ? A very lovely home. The stair rails are very unique! Never seen ones like them before. Surviving through a tornado is a blessing. My mom survived one in Missouri when she was a child. It really is a blessing! Lots of perspective gained, as well! Thanks for your kind words! This post and comments made me smile and laugh! Isn’t it so much fun loving on others? I’m with you, Lauren, if Layla stalked me I might kill over dead! Two beautiful ladies with beautiful souls, beautiful families, and beautiful homes! I told you I’d have some sweet tea ready.. come on!! ? Layla thank you for being a stalker and sharing Lauren with your readers. The picture of her house took my breath away. It is absolutely stunning. Lauren I’m so happy you and your sweet family survived the storm. What a traumatic time for all. Looking forward to following your feed. Thank you so much for your kind words, Michelle! I truly appreciate it! Oh my stars Layla, thank you Lauren. I echo so many comments already made. Lauren, I can totally see why you cried when you saw this house as your home. It. Is. Ah-mazing! 🙂 I am in love with it also. 🙂 I hope to find such a beauty here on the Suncoast of Florida. Wow! Thank you so much for sharing. Thank you so much, Christina!!! Love! Love! Love! It’s my dream to do the same! I stalk real estate listings every day just in case something appears! Definitely a new follower! I so know that stalking game… I’ve done it so often! Thanks for your kind words! Lauren and Layla….I love following both of you talented ladies. 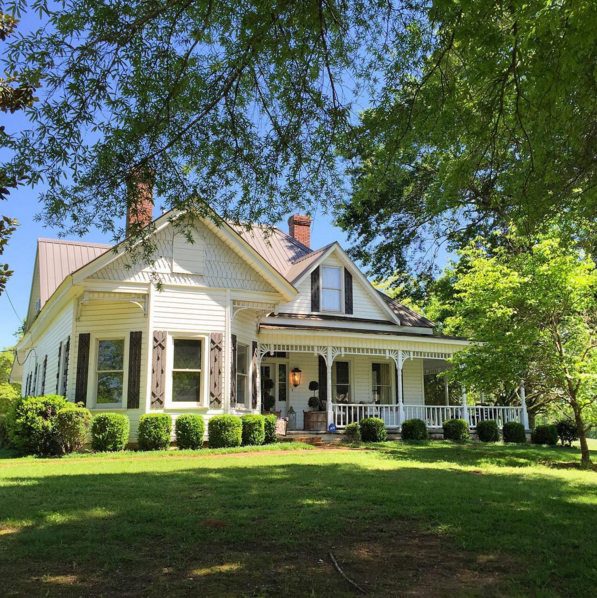 Lauren’s awesome farmhouse is just so dreamy. And I want in on the Oak Mtn Emporium event ? Their story is wonderful, the firepit swings are awesome..and had to laugh when you asked Lauren not to be afraid of you 😀 It is true , we readers want to know the details. So funny, Sunny! Im a total stalker anyways!